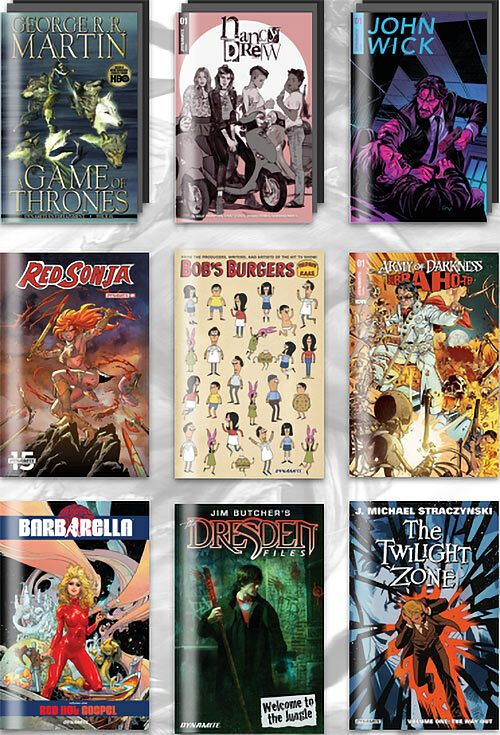 It’s been a while, but Humble Bundle has a new comic-books-to-download offer. Well, there was another one but it was about a series I don’t know from a writer whose work ain’t for me, so posting about would have felt forced. Red Sonja sutff by Gail Simone. Ye olde American Flagg stuff. Battlestar Galactica (reboot stuff), one of wich has an idealised version of Tricia Helfer on the cover, which sounds terribly redundant. Game of Throne Stuff, John Carter, Vampirella stuff, Lone Ranger stuff, Barbarella, Dreadstar, Elvira, The Spirit, Army of Darkness… look, it’s a big and varied cornucopia of geekery, okay ? This is an affiliate link. The two parties getting a cut are the Comic Book Legal Defense Fund, and Writeups.org.